1981: The CONSTANTIA FILMS movie BELOFTES VAN MÔRE (Tomorrow’s promises) was produced by Bill Troskie in 1981, with Daan Retief as director and scriptwriter. 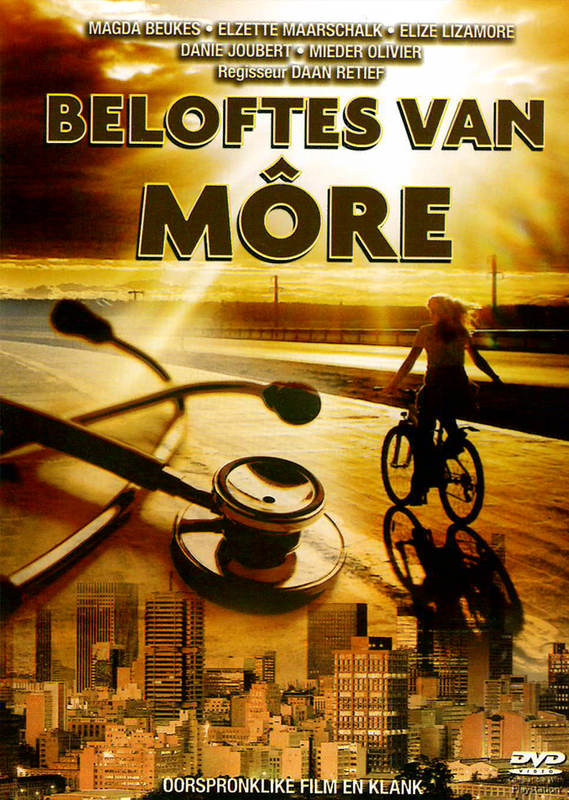 "Beloftes van Môre" is based on a story by Empie Maritz and takes place in a hospital. For years, Nursing Inspector Ella Rossouw (Magda Beukes) carried a grudge against Matron Ria Vermeulen, whose two daughters, Heleen (Elzette Maarschalk) and Christa (Elize Lizamore), are employed as nurses at the same hospital. Christa is especially popular among the cancer patients. Ella tries to get back at Ria by being prejudiced against her daughters and by lodging a complaint of misconduct against Ria at the hospital board. Danie Joubert and Mieder Olivier play romantic roles. Other well-known actors include Corrie Huyser, Alex Heyns and Trudie Taljaard.